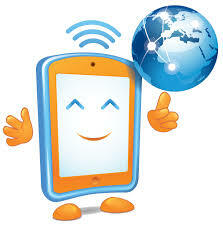 Today is Safer Internet Day! Join the global celebration – Play your part for a better internet. This day offers the opportunity to highlight positive uses of technology and to explore the role we all play in helping to create a better and safer online community. It calls upon young people, parents, carers, teachers, social workers, law enforcement, companies, policy makers, and wider, to join together in helping to create a better internet. Get involved to play your part! For Safer Internet Day 2016 the theme is ‘Play your part for a better internet’ and young people from across the UK have considered what they can do to help make the internet a kinder place. Perhaps you can talk to your child about what actions they could take to make the internet a kinder place? Often we hear about the negative impact that the internet and new technology has on young people, but Safer Internet Day want us to celebrate the positives and to explore what we can all do to make sure that all young people have a positive time online. As parents and carers, you play a crucial role in supporting children to navigate the risks and make the most of the opportunities offered by technology. The most important thing you can do is to have a conversation and stay engaged with your children’s digital lives. ← Smart’s New Year Top Tips…..